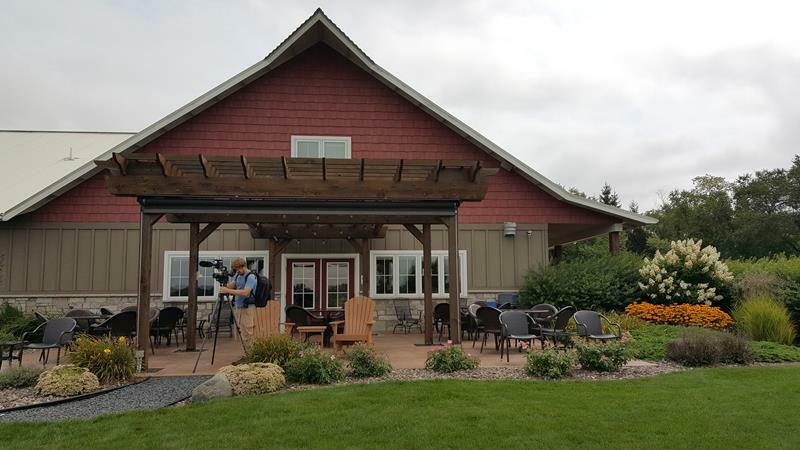 Tucked literally into – although not directly along – a bend along the Chippewa, River Bend Winery started in 2009 by a husband-and-wife team. Donna and Al (the team in question) developed a variety of reds and whites using their own vineyard grapes and some combinations from other regions. They do everything on-site, from the grape-growing to pressing, tank storage, barrel aging, bottling, and more. 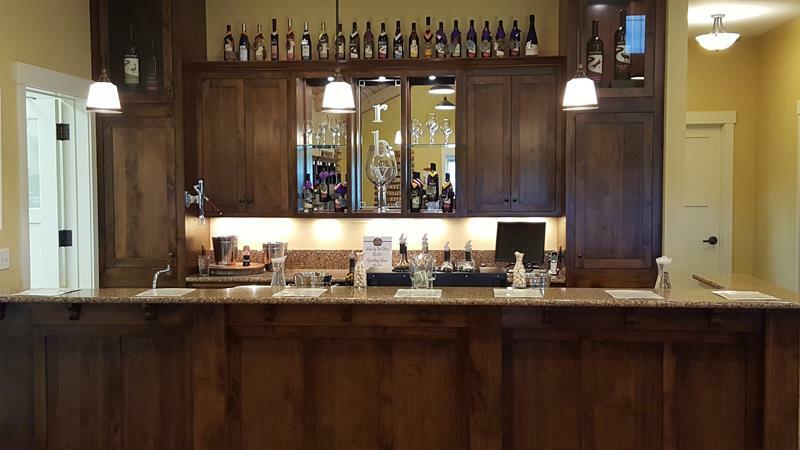 The River Bend Tasting Room offers sampling, shopping for wines and associated items, and tables for relaxing and enjoying their wines. 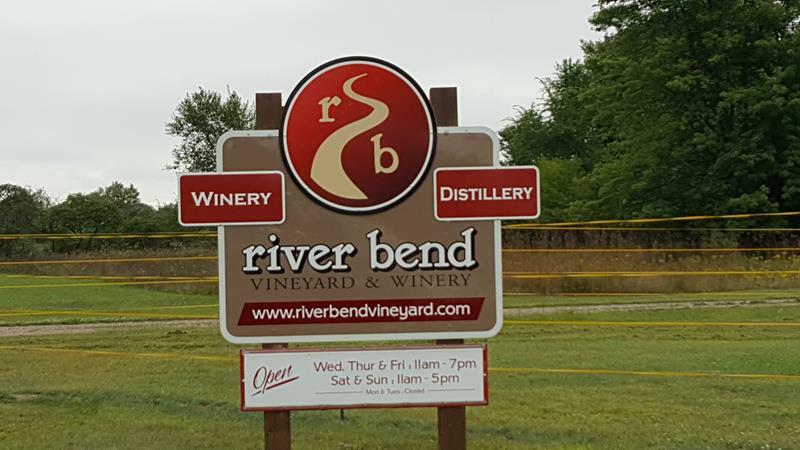 The outdoor patio and lawn often hosts live music and other events during the warmer months, and people are welcome to bring their own food to complement River Bend’s wines. 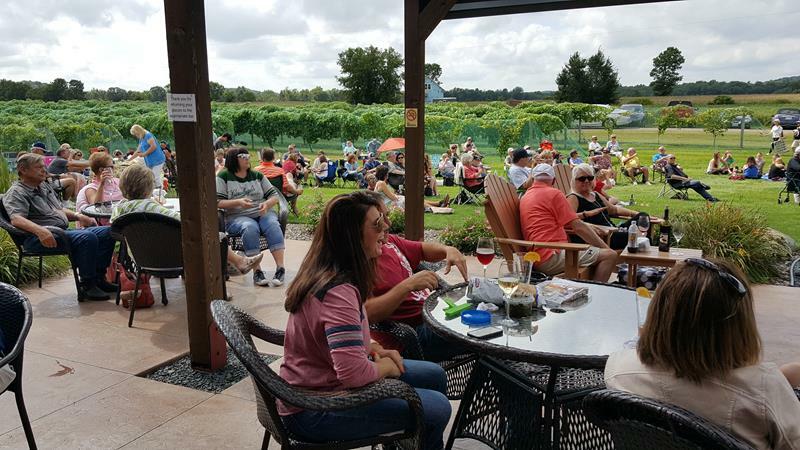 Outdoor live music shows and more offer the opportunity for a relaxing afternoon amidst the vineyards at River Bend Winery. 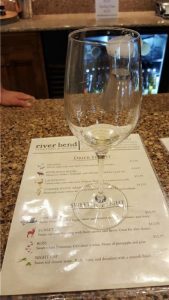 Quite a few River Bend wines have won Gold, Double Gold, and even “Best in Class” designations in wine competitions across the country. Their wines are also distributed to stores all across Wisconsin, but there’s nothing like sipping it at the source, right? White and Blush wines include their Riesling, Cranberry Blush, LaCrescent, Summer White, and Moonlight, a sweet white. Red & Rosé wines include their River Bend Blend, aged in American Oak and featuring the Marquette breed of grape along Zinfandel and Merlot; the Marquette Red and Marquette Rosé, Summer Red, Magenta, and Sunset. Two dessert wines and two sparkling wines are also available in-season. Most of their wines run in the $11-15 range for bottles; the sparkling ones run closer to $25. River Bend also started up a distillery, featuring vodka, whiskey, and more. As they develop and age, inquire during your visit! 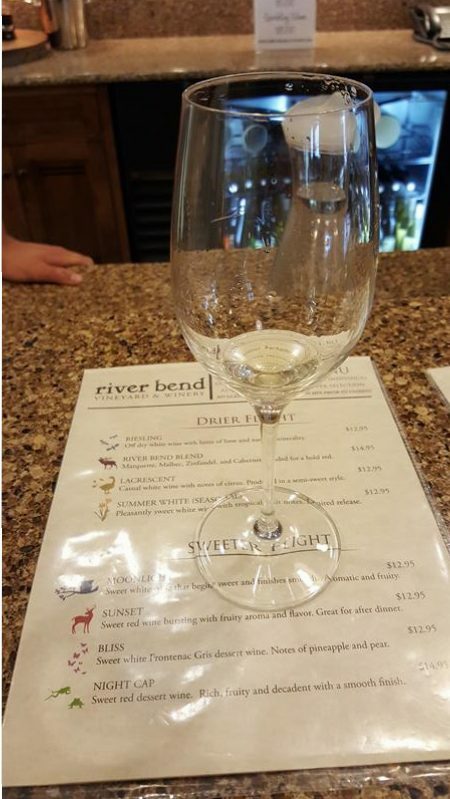 You’ll find River Bend Vineyard & Winery just west of Chippewa Falls and minutes north of Eau Claire. It’s accessible off Business Highway 29/County X via 103rd Street and a left on 33rd Avenue (signs point you there, and it’s really your only road choices there.) During that ride, you pass under the newer Highway 29, now a freeway in this area. U.S. 53 just a few miles to the east, as is Highway 124.